What if Godzilla was real? We all know the answer the movies would give us. 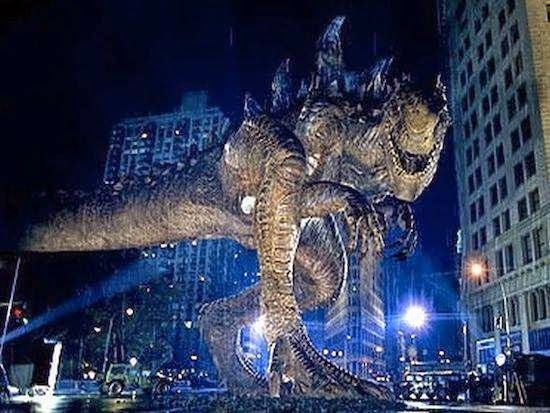 We'd all run screaming in the streets until Godzilla was defeated, possibly employing super-laser tanks or giant robotic Godzillas to beat him, and everything would go back to normal at the end. But what would really happen? What if Godzilla was real and existed? How would the world look? How would people react? What would be the long-term social and economic effects if a giant monster attacked a major city? Alternate History Hub asked all these questions and more in this very interesting video. What would you do if Godzilla was real? We would revert back to a nomad culture. Wandering away from the coast toward the safety of the inland. More than likely wouldn't go stomping around a city. The reality that at any time a massive reptile could come out of the ocean and kill you and everyone you love would be hard to accept - you think? As Pacific Rim proved, giant walls really wouldn't help either.